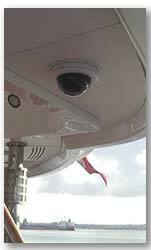 Keeping an eye out for your safety and security. 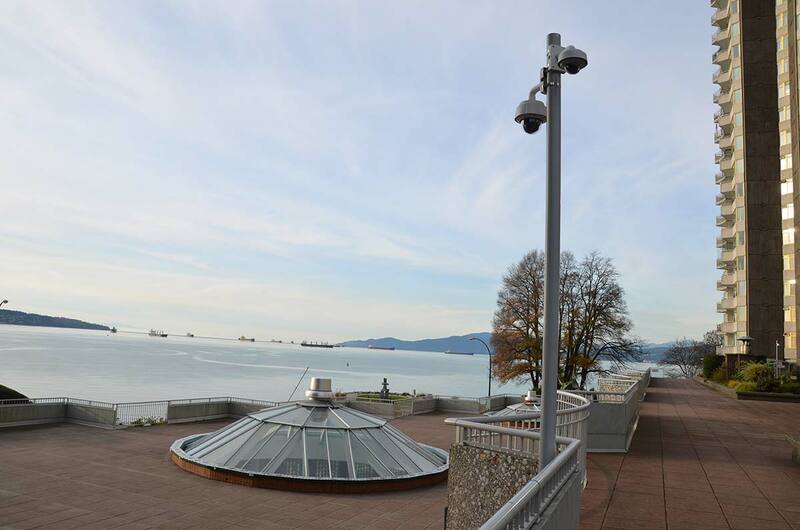 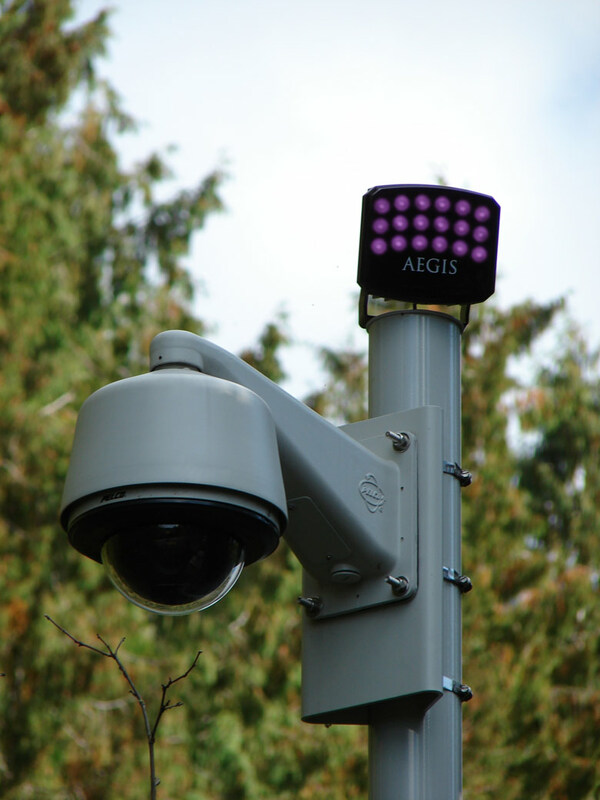 We work with all types of professional security cameras, ranging from small hidden 'pinhole' cameras to large cameras mounted on poles or the exterior of a building. 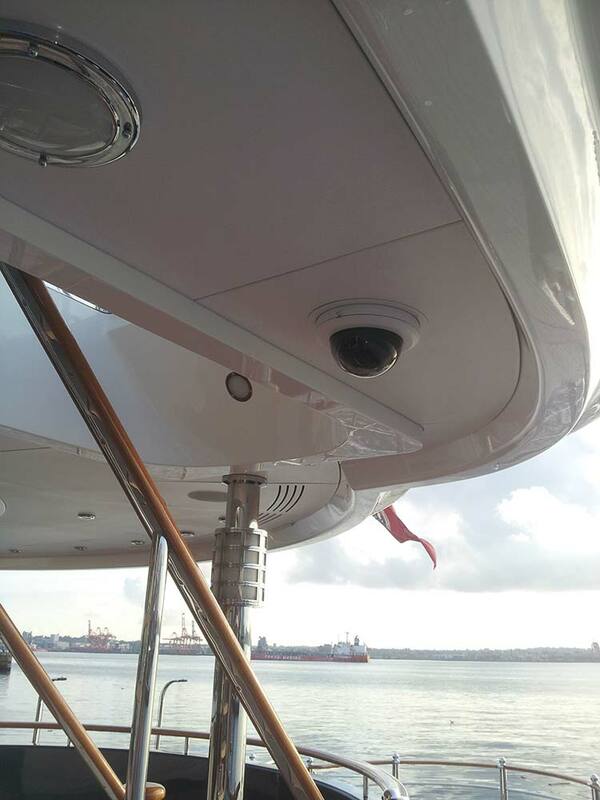 We also like to integrate cameras into a system so the end user has full control of pan, tilt, and zoom through their interface. 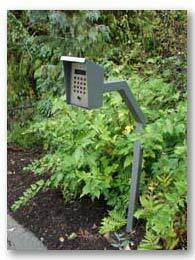 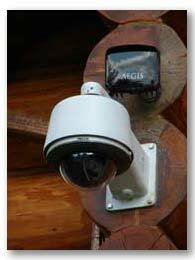 Also it is easy to have camera's paired with access control such as a gate or door. 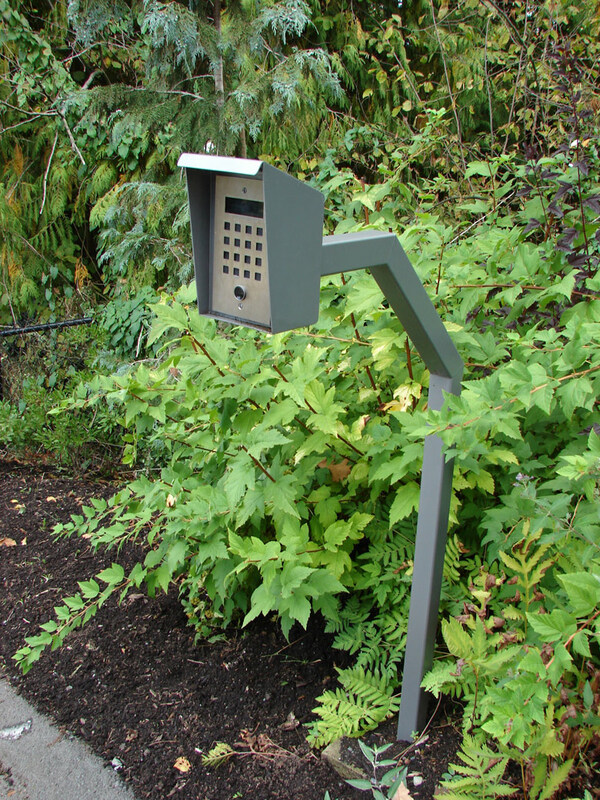 Below on the left you will see a gate intercom with a camera. 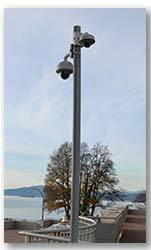 A good companion to a camera system is a DVR (digital video recorder) which will allow days of continuous recording and the ability to review any events. 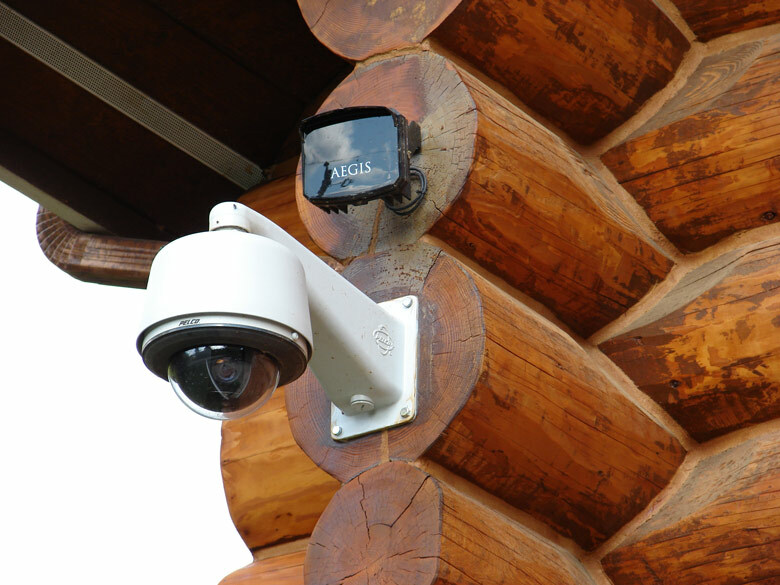 Some even allow for secure remote access over internet so that cameras can be accessed off-site and anywhere in the world. 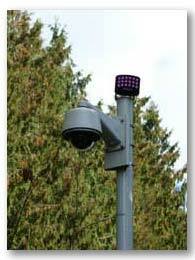 To prolong the life of cameras and allow for more recording time on a DVR cameras can be triggered to record only when motion is detected.